All new clients receive a 1 on 1 Nutrition & Fitness Evaluation before training. Fully body fat assessment & nutritional strategy session. One on one personal training and nutritional coaching with Jacques DeVore is $250 per hour. 5 person limit per coach. Includes nutritional coaching & unlimited body fat analysis. Cost will vary depending on usage rate. Unlimited monthly FUBAR package is only $150 per month with purchase of any other fitness package. Power Strength, Cardio workout. We combine the VersaClimber and Versapulley for one of the best low impact 40 minute power strength cardio workouts you will find. You will go from a power movement on the Versapulley to a high intensity interval on the VersaClimber. This workout can accommodate the fittest athlete to the first timer. The science of training world class athletes is perfect for training youth athletes as well. We focus on movement and spend a lot of time working on mobility and stability to reduce the risk of injury in sport. Many youth athletes specialize in a particular sport early and therefore have many areas of fitness that have not been properly developed. Without this development the athlete is prone to injury. Come in to discuss how we can design a program for a young athlete. Starting age is based on maturity both from a coaching perspective and physical maturity. 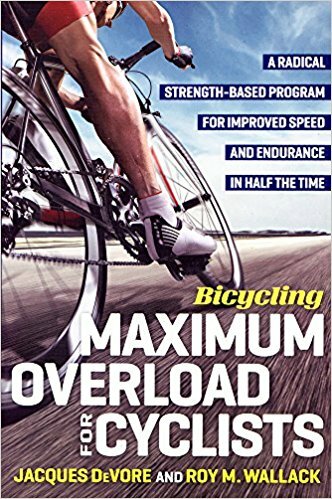 If you want to utilize the strategies and tactics described in Maximum Overload for Cyclists and you do not live close enough to come to Sirens and Titans location in Los Angeles, you can have a distance program created by Jacques DeVore, developer of and co-author of the Maximum Overload workout program. Sport specific workouts. Bike, swim, run etc. Call or email us for pricing information. Pricing adjusted based on level of coaching necessary.